As I have grown up, I have realized that there are many ideas that I learned in Sunday School (or maybe they were just passed along to me from other Christians) which are simply not Biblical. I am not saying that anyone lied to me. They just tried to teach me things that they thought the Bible said. I think we have all had this experience on some level. I would love for us to discuss some of the things that we have heard the Bible says, but are really not there. Here are a few . . . There are a few things that are extra-biblical, yet not un-biblical. For example, the Trinity is never mentioned in the Bible, but we can understand God as one being made up of three people because of the way the Bible talks about God the Father, Jesus, the Holy Spirit, and the love existent in God. Some of the things that we have learned that are not necessarily mentioned in Scripture may still be valid. It may not by explicitly stated, but it can still be inferred. We just have to be very careful that we do not base our understanding of God, or the world on ideas that are not wholly true. 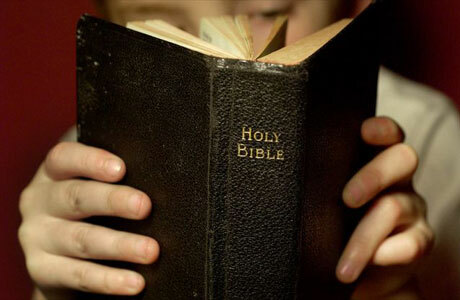 What have you heard “the Bible says,” but is really not in the Bible?